Prominent & Leading Manufacturer from Mumbai, we offer hardened and tempered spring steel coil. We have gained vast expertise in offering Hardened and Tempered Spring Steel Coil to our clients. They are prepared with different thickness and width range having round and square edges. 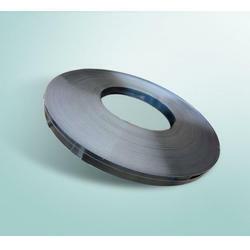 Our Hardened and Tempered Steel Strips are largely used in industries like automobile and cable industry. They are based on advanced technology and meet industry defined parameters. Looking for Hardened Spring Steel Coil ?